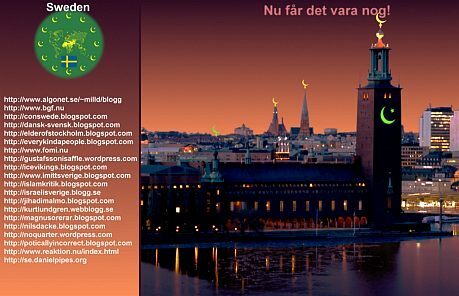 I have long been aware of the Finnish writer and blogger Jussi Halla-aho because of his links to Gates of Vienna. However, since his work was mostly in Finnish, I didn’t know much about him. He wrote me a couple of days ago to let me know that he had written an article on the recent Jokela school massacre which he subsequently translated into English. Tundra Tabloids covered the Jokela shootings the day they happened, and here’s a news story about the incident from the November 7th edition of the English-language version of Helsingin Sanomat. It’s no surprise that Finland, like most other modern Western democracies, responded to the school shootings with a move to crack down on guns. Jussi Halla-aho has his opinions on what is happening; his article is posted below (see the original on his website to find all the hyperlinks). In the wake of the Jokela School Shooting I have an urge to say a word or two in defence of guns and gun ownership. Someone may find this tasteless, but I consider it much more tasteless that our fanatically anti-gun press, led by Helsingin Sanomat, is making shameless use of the Jokela massacre to stir up hysteria and push their own goals. We have seen this happen before in Britain after Dunblane, in Germany after Erfurt, in Australia after Monash University, etc. Following an atrocity the pro-control lobby makes a swift attempt to utilize the understandable panic to achieve their predefined goal, a ban on private gun ownership. They strike immediately, so as not to give people time to cool down and put things in their proper context. Helsingin Sanomat asks in its reader survey whether there should be a total ban on private gun ownership. (For the current legislative situation, see Wikipedia.) The paper has also, rather artificially one might say, linked the Jokela incident to the on-going dispute between Finland and the EU Comission on the right of minors between 15 and 17 years of age to possess firearms and use them independently for hunting and target shooting. a) Is the proposal feasible? For instance, are the costs of implementation in any proportion to the potential profit? b) Is the general good obtained in any proportion to the damage caused to the individual? c) Does the measure address the problem? That is, is it realistic to expect that the measure affects the problem that we wish to solve? Let us begin with a). What does it mean to ban private gun ownership? Does it mean that 1) the authorities stop issuing new licences now, but those that were issued prior to the ban remain valid; or that 2) the existing licences are revoked and the guns in question are confiscated? If we choose the option 1), we won’t achieve anything. Somebody who does not know much about guns may not realize it, but firearms do not compare with digital cameras or television sets, which have a very limited service life and break down within ten years from the moment of purchase. Firearms are fairly simple mechanical devices, built from tough materials, whose functional life span, with low levels of use and proper maintenance, may reach hundreds of years. They can be repaired, serviced and even built from scratch with simple hand tools. If gun licences cease to be granted, firearms dealers will be out of business. When that happens, there will be no ammunition available. With no ammunition, the existing guns will be used less and less, which, in turn, decreases their natural wear and thus increases their life-expectancy. If we opt for 2), we must figure out a procedure for taking away guns from their owners. Confiscating legally acquired and legally kept private property by retroactive legislation is extremely difficult, owing to the general laws protecting private property. What might come in question is the expropriation of the guns against their market value. Another thing that may be unclear to someone not familiar with guns is that firearms are expensive devices. Huge amounts of money has been invested in them. Their prices vary between 100 Euros and thousands of Euros. At the moment there are some 1,600,000 licenced and privately owned firearms in Finland, of which about 80 per cent are hunting weapons, that is, shotguns and rifles. Let us present a very moderate estimate that the average price of a privately owned gun in Finland is 300 Euros. It is likely to be more. The mere condemnation awards would cost our government a minimum of 480,000,000 Euros. (The annual state budget is around 30 billion Euros.) Following the expropriation, something would have to be done with one and a half million guns. They could be either stored, destroyed or sold. Selling the guns abroad would hardly be acceptable, given that this would mean just transferring the problem that was supposed to be solved by the expropriation. Storing a million and a half firearms would mean horrible construction and security costs, not to mention the permanent security risk involved. Destroying the guns would likely cost even more. Firearms are not just metal scrap that can be tossed into a melting pot. They consist of heavy metals, light alloys, wood, plastic and various composite materials. They would have to be disassembled manually, one by one. Where, exactly, would this money come from? Another possibility, and the one undoubtedly favored by the hoplophobic Left, would be to confiscate the guns without compensations. That would serve those trigger-happy Rambos right! However, the authorities must act within the limits set by the law. The confiscation of legally acquired and kept property without compensations would require wrecking the entire legislation protecting private property. Such a reform would not have a chance of passing the parliamentary process. Why? Because there are guns in more than a half of the Finnish households, and these households consist of people who vote. Even if a law enabling the confiscation did pass the legislative apparatus, the guns could not be taken. By becoming a thief the state would lose its legitimacy in the eyes of gunowners. 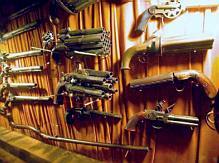 A significant portion of the to-be-confiscated guns would “disappear”. On the eve of the Confiscation the police would file hundreds of thousands of reports on “stolen” and “lost” firearms. To make it simple and short: There are so many privately owned firearms in Finland that private gun ownership cannot be banned in any meaningful manner. Gunowners can, of course, be succesfully harassed with different measures, but from the point of view of the ultimate goal, a gun-free society, they are meaningless. The private guns, thus, cannot be confiscated. Let us then move on to the point b): why they should not be confiscated. Perhaps I am not. I may also not be ready to advertize the statistical safety of air travel to someone who just lost their family in a plane crash. But punishing 700,000 decent citizens by confiscating their property and ending an activity that is important to them, because of a small handful of bad apples, is not proportionate. Any number of crimes is too many, but even so the damage done to decent citizens must be proportionate to the profit achievable. It may be prudent to approach this thing with parallels that excite people less than firearms which, to many, represent a mythical evil. According to statistics, males between 18 and 25 years of age are overrepresented in traffic accidents. The number of traffic accidents could be significantly reduced by banning all unnecessary driving from this group of people. Why are we not ready to do this? Because only a small fraction of all males between 18 and 25 are responsible for the ugly statistical truth. The punishment would be collective and unfair, despite the fact that any number of children killed in traffic accidents is too many. Most physical assaults take place at night in city centers, and most perpetrators are males between 20 and 35. The number of assaults would decrease significantly if a night curfew were imposed on the said group of males. Why are we not ready to do this? Because we would be mostly punishing innocent people. The profit would not be in a just proportion to the harm inflicted, despite the fact that any number of assaults is too many. What about alcohol? Nothing kills more Finns than alcohol does. It destroys more families than anything else. It kills and cripples indirectly more than anything else, because it is involved in nearly all violent crime. It burdens the public health services more than anything else does. Why do we not prohibit alcohol? So much at least can be said in defence of guns and gun sports that shooting is an instructive hobby which also keeps most of its devotees out of mischief. Is drinking an instructive hobby? Are the damages caused by alcohol a tolerable price for its more wholesome effects? Is not every alcohol-related death, crime or accident one too many? Why not? Are you ready to say that to a person randomly stabbed by a drunk, or to a child of an alcoholic? There is no coherent answer to the question concerning alcohol. Most people simply content themselves with the truth that alcohol is part of our Finnish culture. But so is private gun ownership. It has a longer continuous history in our country than alcohol has. By forbidding hunting from minors between 15 and 17 we can possibly prevent one suicide in every two years. But at the same time, we shall deprive thousands of young people in remote districts of a healthy and perhaps the only leisure-time activity. Will they be better off drinking beer in their friends’ garages or playing war games on the Internet? Raising the minimum age for obtaining a gun licence to 20 years, as some have suggested, could have prevented the Jokela tragedy but it would not have prevented the recent shooting in Heikinlaakso (a district in Helsinki) or any other shooting of the past. A higher minimum age would be justified if teenagers between 15 and 19 years were a statistical hazard. But they are not. Pekka-Eric Auvinen was an isolated, unique case. Banning all guns from everyone might prevent a unique crime. It probably would have prevented the Jokela massacre. But on the whole it would not lessen violent crime because nearly all violent crimes in Finland are committed with weapons other than firearms. It would not even decrease the number of gun crimes significantly because the majority of gun crimes are committed with illegal guns. By tightening gun laws we can only affect those who seek to abide the law. In the wake of Jokela, we should not get stuck in a debate over guns. A SIG Sauer Mosquito or the Finnish gun law did not kill nine persons. Pekka-Eric Auvinen did. The gun did not make Auvinen kill. He acquired the gun in order to kill. There are, as I see, two reasons why we are talking about the instrument rather than the killer. The first one is that despite their apparent anti-American stance the Finnish (and European) Left adopt their doctrine, methods and agenda as such and predigested from the American Left. In the US, guns are a hot topic because lots of people over there are killed with guns, yet in America, too, the typical way to react is to harass the legal owners of legal guns, disregarding the fact that most gun crimes are committed with illegal and illegally owned ones. Cities and states that are characterized by gun laws significantly stricter than ours, such as Washington DC or Illinois, are black spots of gun crime, while many jurisdictions where gun ownership is not severely regulated, eg. Vermont and Alaska [and Virginia — BB], are among the safest. Gun crime in the US has to do with social and ethnic problems, not with gun laws or the availability of legal guns. Since there is a gun problem in the US, the Finnish “progressives”, subservient to the American Left, have decided that we, too, must have a gun problem. In reality we have none. We have more guns per capita than any other European country but less gun crime than any other European country. The fact that there is a lot of violent crime in Finland is irrelevant because these crimes, as a rule, are not committed with guns. The fact that we do not have a demonstrable gun problem disturbs our “progressives” in a terrible manner. For years they have been dying for something like Jokela to happen. So that they can yell triumphantly: “We told you, didn’t we!” This is their great moment. Like vultures they are feeding on the corpses of those who died at Jokela. As a gunowner I find that annoying. As a human being I find it repulsive. Another reason for talking about guns, rather than the killer, is that guns and gunowners are an easy target to pour out your anger, hatred and frustration on. Similarly easy targets are computer games or heavy metal music. It is much more difficult and much less trendy to touch upon problems such as school bullying (according to the police investigations, Auvinen was bullied) because anti-gun people are also people who always view an evil-doer as a victim. It is much more difficult to talk about the catastrophic state of our public mental health care and school health services (according to the investigations Auvinen was suffering from mental problems). It is easy to take money from the mental patients because, on the one hand, they do not demand their rights and, on the other, the results of neglecting them show with a delay. A politician who only worries about the next elections is not interested in issues that have little immediate visible effects on anything, regardless of how severe the long-term impact on society will be. In spite of what happened at Jokela, we do not have a gun problem. We do have other problems, but addressing them would require money and political will. Bringing knives or firearms into schools could be made more difficult by using guards or metal detectors, but such measures are a no-no to the self-proclaimed intellectuals because they would be “simplifying the problem” or something like that. The authorities that grant firearms licences should have an access to the mental record of the applicant, but this is a big no too because these intellectuals resent some, selected aspects of a police state. The licence authorities should be properly trained and instructed. Auvinen obtained his permit by virtue of having joined a Helsinki shooting club a few months before but without having visited the range even once. The law authorizes the police to consider whether the applicant has demonstrated his shooting hobby in a reliable manner. The Tuusula police made a clear mistake, the law itself is not to blame. A lot of things could be done if there was political will. Even so, we cannot prevent all crimes. For decades the Finnish criminal politics have been based on the idea that the criminal is a victim and the crime is a reaction to influence from the social environment. We have lost our ability to understand that there are people who commit crimes, totally regardless of what the surrounding society does or does not do, because they are inherently stupid, crazy or evil. The world has seen all kinds of societies and legislations, but a crimeless society does not and will not exist. There will always be Auvinens who kill people out of their own will, their own motives, and using those instruments that are available. The society can only determine how, if at all, it wishes to punish them for their actions. It can also determine how, if at all, it allows the potential victims to defend themselves. Our Flemish correspondent ProFlandria has been monitoring the situation in Belgium through various sources. Below is a summary he has prepared for Gates of Vienna readers. The following is a lecture by John Laughland, the European Director of the European Foundation, which was given last Saturday in the Belgian federal parliament building in Brussels. It was posted at Brussels Journal in its entirety. While Laughland’s focus is on the reaction of Europe to a Belgian crack-up, he indirectly documents why the Flemish nationalist movement can be a brake on the European Union’s undemocratic ambitions; he even mentions immigration in this context. This explains why Vlaams Belang’s mission also serves ours. The European Union is rapidly replacing the national governments as the conduit for Islamization, and as the obstacle against resistance. If VB can successfully demonstrate that a nationalist movement can reverse the drain of state power from elected bodies to an unelected oligarchy without turning into the dreaded “N”-word, then citizens everywhere will be encouraged to take back the authority so freely surrendered by their governments. This sequence of events is indispensable if we are to have any hope of stemming the tide of Islamization. Resistance is most effective at the grassroots level; within the European context, the member nations are that level. However, action at the national level is becoming impossible within the existing EU straitjacket. What will the attitude of the rest of Europe be to the breakup of Belgium? As one surveys the geopolitics of post Cold War Europe, one can say only that one is struck by the double standards with which the EU and the US treat the question of national independence. On the other hand, the West opposes secessions when they do not suit it geo-politically. […] The reasons why the West opposes secession in Moldova, Bosnia and elsewhere are geopolitical and ideological. […] In the case of Bosnia, that artificial state was elevated, during the Yugoslav war, to an icon of multiculturalism […]. In my view, Europe will oppose the breakup of Belgium for the same reasons. On the contrary, the breakup of Belgium would show that the fault-line which is at the heart of the European project runs right through the EU’s very capital. That fault-line is the contradiction between democracy and supranationalism. Flemings of course understand that a supranational state is inimical to democracy, and that it destroys it. The larger nations of Europe do not understand this because they are relatively influential within the EU and because the prominence of their national political life obscures the fact that they are, in fact, governed by the EU, which is a totally undemocratic and even anti-democratic organisation. […] the main decisions are taken in secret by the unelected Commission and the unaccountable Council of Ministers. National parliaments are systematically emasculated by the EU, which gives governments [the Cabinet, instead of parliament — for US purposes, the Administration instead of Congress] the right to make laws, in secret. The fact that the defunct European Constitution is even now being re-introduced, having been rejected in referendums in France and the Netherlands in 2005 (two founder member states of the EU) shows that the EU is prepared to override the results of democratic direct polls in order to achieve its aims. Democracy is actively suppressed by European integration. […] The EU is […] based on the historic reconciliation between the old countries of the original Holy Roman Empire — France, Germany, Italy and the Low Countries. The specifically Franco-German aspect of this reconciliation is mirrored in microcosm in the coexistence of the Flemings and Walloons within Belgium. Many Belgian leaders including the late King Baudoin indeed said that the EU was a sort of Greater Belgium. The collapse of the Belgian model would be an event of immense significance and would, in my view, deliver a further blow to the already faltering project of European integration. All of these [EU] treaties, starting with the Treaty of Rome, provide for the vast majority of legislative power to be transferred to the EU. All new member states have to adopt the totality of the so-called acquis communautaire (more than 80,000 pages of primary legislation) and therefore any state which signs such a treaty is no longer independent in any real sense. Of course the centralisation of power will increase only further with the reform treaty, in which states will lose further powers including over immigration. That treaty, indeed, contains a “enabling clause” which allows the EU to increase its own powers indefinitely and so further centralisation is inevitable. […] The “Europe of the regions” model is a trap which would only make Flanders into a sort of Wallonia, the recipient of EU aid in return for political compliance in everything. The European Union now displays all the worst characteristics of Belgium itself: an impossibly complicated institutional structure which is kept that way deliberately in order to serve vested interests; an opaque and deliberately undemocratic decision-making process; a vast system of internal financing which is used to pervert the political process by buying off certain powerful interest groups; and of course rampant corruption. By showing up the Belgian model itself as a lie, the independence of Flanders would provide a great service to democracy and to the whole of Europe. Flanders, indeed, could show the way for other countries whose people would also like to leave the EU. If Flanders succeeds in gaining independence from Belgium, Vlaams Belang indicates that for its part, the party will oppose any effort to join the European Union as a full member state. Under the press of recent events, I have neglected the issue of the “mega-mosque” that is being planned in London to coincide with the 2012 Olympics. Most readers are probably familiar with the issue. The plan is for a huge and imposing edifice, financed by Wahhabi money and implemented through the proselytizing organization Tablighi Jamaat. The structure will dominate the London skyline adjacent to the site of the Olympics. But there is a large and growing movement in Britain to stop the mega-mosque. Ordinary people have risked the new law against “inciting religious hatred” and banded together in their determination to prevent the mosque from being built. On the back of a challenge to Newham’s Mayor Sir Robin Wales to come clean about the state of current planning permissions on the site of the proposed Olympic mega-mosque at West Ham, opponents of the project today launched a campaign information website, www.MegaMosqueNoThanks.com. 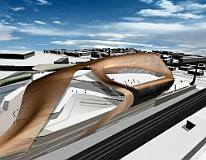 At the 29 October meeting of Newham Council, the Mayor’s adviser on Regeneration Cllr Conor McAuley led members and media to believe that the current small temporary mosque on site had received retrospective temporary planning permission, although in fact permission had run out twelve months ago. At the forthcoming Council meeting next Monday 3 December, Cllr Alan Craig, leader of the Christian Peoples Alliance group on Newham Council, will challenge the Mayor to retract his colleague’s statement and confirm instead that mosque promoters Tablighi Jamaat are currently using the site illegally and without any planning permission at all. 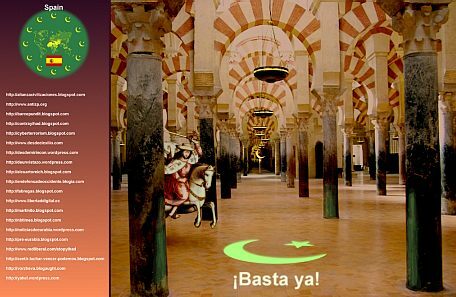 If you’re in the UK, and you’re concerned about the Islamization of your country and your culture, a visit to MegaMosqueNoThanks.com is recommended. Conservative Swede and I engage in a lively and almost non-stop correspondence via email. We discuss the Counterjihad, immigration, Multiculturalism, political correctness, the imaginary bugbear of a resurgent Nazism in Europe, and many other related issues. CS has one of the finest intellects of anybody I know, and, except for dinner-table discussions with Dymphna, there is no more stimulating conversation to be had on these issues. 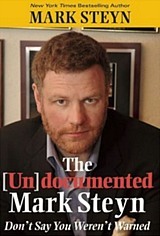 CS and I exchanged a series of emails last night and this morning concerning PC ideology, Mark Steyn’s writings, and the importation of Third World immigrants into the West. The back-and-forth arguments helped clarify my thinking on the issue, and so I am presenting a slightly expanded version of them here. Whenever Conservative Swede and I have a spirited discussion on an issue, we inevitably come to a point of agreement, after arguing through the terminology and elaborating on our respective choice of words. This is one such case, and the essay below is as much his as it is mine. All across the West, in virtually every country except for Japan and some of the recently-liberated former Communist countries in Central Europe, immigration from the Third World has accelerated enormously. In the United States the flood comes in from Mexico. 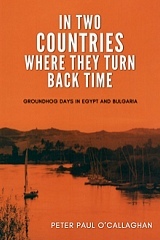 In Europe the newcomers originate in Turkey, Pakistan, North Africa, and the Arab Middle East. In Australia immigrants pour in from South Asia and the Chinese diaspora. Virtually anybody in the world who can scrape up the money for a plane ticket to Toronto is welcomed in Canada. This simultaneity of action is, obviously, aided by the pernicious Multicultural ideology which has gradually infected the entire West over the last two generations. The makers of fashionable opinion have determined that it is acceptable for us to dilute, enervate, and even destroy our traditional societies, but they don’t stop there. Such cultural suicide is deemed desirable, and even a moral imperative, by the Gramscians who have imperceptibly supplanted any alternative schools of thought within the academic bastions that generate the conventional wisdom. However, there is an additional pressure that helps to keep the immigration valves wide open in the West. The demographic debacle that is looming before all advanced Western countries creates an economic process that would be all but irresistible even if there were no politically correct ideology driving the current cultural train wreck. Our nations are analogous to cells in an organism, and their borders constitute a semi-permeable membrane. People passing through these membranes are like chemical compounds entering and leaving a cell. An osmotic pressure on one side or the other pushes and pulls people through such border-membranes. This osmotic pressure is an economic one. As countries become affluent, their birthrates decline, so that eventually their populations also decline, as is happening now to the original natives in several European countries and Japan. Affluence means that people are relatively well-educated and are accustomed to a high rate of pay and benefits. This generates high expectations — people live well, expect meaningful employment, and resist any reduction of their living standards. To mix metaphors a bit, the modern Western nations form the “climax forest” of our sociocultural ecology. The denizens of that lofty canopy will do anything to stay up near the top, and strive vigorously against forces trying to drag them down into the dark loam on the forest floor. This situation makes it possible for companies that import foreigners, or utilize those foreigners already resident, to make a lot of money by using those foreigners. If there is commercial competition within a country — and there is still quite a bit here in the USA — then the companies using cheap foreign labor will be more successful and prevail against their competitors. The result is that the whole process, acting via the “invisible hand”, tends to pull in more foreigners. In other words, there is money to be made from doing it. That’s what I mean by “osmotic pressure” — it’s a virtually irresistible economic imperative. As we all know, when money is to be made from an activity, that activity is bound to occur. Where it is not only legal, but encouraged by elite opinion, it will flourish. Furthermore, when you add ideology to the mix, the problem becomes much worse. In Sweden the ideological motive may far exceed the economic one, since business competition is greatly reduced in Sweden due to the overwhelming intervention of the socialist state. But that’s not so true in Ireland, for example, which has healthy economic competition, and the Multicultural regime there is not as advanced. Yet Ireland has imported an astonishing number of Muslim immigrants in recent years. So ideology alone is not a sufficient explanation of what is occurring. If the demographic issue were the only one in play, then the problems brought on by a declining population would be self-correcting. Eventually, when the ratio of elderly people to young people became high enough, the welfare state would collapse. Old people who could neither rouse themselves from retirement and do productive work nor be cared for by their families would be euthanized. Young people would have economic incentives to have children, since after fifteen years or so a batch of children would be a productive asset to a household. The outcome would be ugly, unprincipled, and sometimes violent. Correction would take a couple of generations, but it would happen. However, when you combine the multiculti ideology with an economic osmotic pressure drawing in Muslims at an accelerating pace, the problem becomes much, much worse. Hence the potential apocalypse that is rolling towards us so rapidly. Note to those who love to quote me out of context: the nasty scenario described above is not one that I prefer or recommend. It is simply one that I deduce to be likely under the assumed premises. Killing the Celt is a collection of short fiction, metafiction, and nonfiction pieces that include Celtic history, social and political satire, travel narratives, pop-culture musings, and memoir. The book’s thirty one essays and stories are framed within brief histories of the six Celtic holocausts, and bound together with a Celtic sensibility marked by dark, anarchic humor; a love of place, time, and culture; and a steely distrust of authority. As the author notes, the Celts are always done in because they can never unite long enough to fight off a common foe. We Celts are good examples of those who hang separately because they’ll be damned if they’ll hang together past the first fist fight. Or, as dark Irish humor has it, God invented whiskey to keep the Celts from taking over the world. The President is shown walking into the Oval Office. He is wearing a kilt. Surprisingly, to many watching, a basket-hilted sword is slung at his left side. A piper can be heard playing a martial tune in the Rose Garden. A large metal map of the Middle East, Northern Africa, and Europe sits on an easel behind the President’s desk. A two-dimensional bag of money — marked by three bright-red dollar signs-is attached to the map with a magnet. The map looks like something you might have seen in an early-19th century elementary school classroom. “Slainte, my fellow Americans. As you know, I am a quiet man, a man of few words, so I will get straight to the point of my talk right away. The Middle East has tong been a primary focus of United States foreign policy. I have absolutely no idea why this is so — perhaps it’s our amazing thirst for oil, maybe a certain sense of religious commonality, or possibly a degree of undue influence from a small number of powerful people in the Northeast. I mean, if one bothered to watch television news, a thankless task to be sure, one would go away with the idea that the Middle East is the largest continent on earth. Well, our business there is no longer going to be done as usual. “We buy most of our oil now from our friends down in South America and we’ve begun to tap into Russia’s huge reserves. So we needn’t worry too much about oil.” He paused. “As for religion, as far as I’m concerned Newgrange in the Boyne Valley is the New Jerusalem.” He looked away at a small spot just below the ceiling on the far wall. “Or it may be Avebury in Wiltshire. We’re not sure at the moment. I have a committee from my Druidical Council of Scholars working on that problem right now.” His preternaturally light blue eyes peered steelily into the C-Span camera, and he briefly smiled at his handlers, who were trying their best not to squirm in their seats. He stood up in front of the map. “In any case, we’re going to stop pouring billions of our taxpayers’ dollars into that stony, turbulent dust bowl over there as we’ve been doing every year for the past 40 or 50 years. It hasn’t done much good, now has it?” He took a wooden pointer and pushed the magnetic money bag from its position between the Red Sea and the Persian Gulf, up across the Mediterranean Sea and Europe, so that it settled over the Isle of Man. “So, we’re going to mooooove this from here to here. See how easy that was.” He gave what a New York newspaper would call a “big, dumb grin” in its lead editorial the next day. “We’re going to cut that money in half and spend it for a while in Ireland, Scotland, and Wales. We may put a little into England and Brittany, too. We’ll see. I’m convinced that if we help the Celtic peoples in this way, they will form a unified, strongly bonded nation that will be a good ally in our fight to keep freedom alive in the world and a stabilizing influence in the Eurabian region. We need to guard the cradle of the Western imagination with all of our might. And, to be sure, we need a perpetual counterbalance to the hyper-rationalist Franco-German superstate. “The people in the Middle East are just going to have to grow up and learn to get along like everyone else. For God’s sake, they’re all the same people, with some odd disagreements on religion. They’ve been going at it tooth and nail for the past 9,000 years. Now, if they can’t get along, they’re going to have to learn to fight with sticks and stones again. Today I signed an Executive Order stopping all foreign aid and arms shipments to the region. So I wish them luck. They’re on their own. The latest news about the notorious Mullah Krekar suggests that Norway may want to change its national anthem to “How Can I Say I Miss You When I Can’t Get You To Leave?” (by Saffire, the Uppity Blues Women). Just three days after Norway’s highest court upheld a state expulsion order against Mullah Krekar, the man who’s considered a threat to the nation’s security has made new threats against the country that’s harboured him for years. Mullah Krekar apparently feels confident that he can remain in Norway, even though he’s officially under a deportation order because he’s considered a threat to national security. Krekar told web site Awane that the “reaction” would come from his relatives, from an armed group, and also from those who follow his religious teachings and sympathize with him. The groups, he said, “probably are from Somalia or Morocco.” He refused to specify what type of “reaction” he expected. Krekar’s remarks are being widely interpreted as new threats against Norway, and that, predictably enough, has sparked more anger among Norwegians who can’t understand why Krekar remains in the country. The official version is that Krekar faces a death sentence if sent back to his native Iraq. Norway won’t deport anyone if their lives would officially be in danger, and no other country has volunteered to take over responsibility for Krekar. The mullah originally came to Norway as a refugee, later won permission to have his family join him, and since has lived largely off Norwegian welfare. He first got in trouble with Norwegian authorities when it became known that he had repeatedly violated the terms of his asylum by traveling voluntarily back to northern Iraq, to lead the guerrilla group. US authorities have long considered Krekar a terrorist suspect. Fascism and Nazism have deep roots, even in the United States of America. A compelling demonstration of this sad fact can be found in the seemingly innocuous Pledge of Allegiance, which was originated in 1892 by Francis Bellamy. Many Americans are unaware of the fascist origins of the Pledge. The photos at the left show American schoolchildren saying the Pledge of Allegiance during the first half of the 20th century. 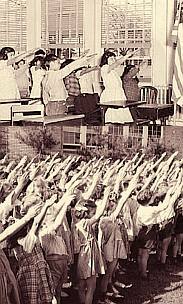 In those days, as you can see, pledging the flag included a gesture known as the “Bellamy Salute”, which was identical to the “Sieg Heil” salute made notorious by Hitler’s Nazi regime! Untold thousands of American schoolchildren were corrupted by this devious indoctrination until the U.S. government became aware of the practice and put a stop to it. Originally, the pledge was said with the hand in the so-called “Bellamy Salute,” with the hand resting first outward from the chest, then the arm extending out from the body. Once Hitler came to power in Europe, some Americans were concerned that this position of the arm and hand resembled the salute rendered by the Nazi military. In 1942, Congress established the current practice of rendering the pledge with the right hand placed flat over the heart. Obviously, anybody who ever engaged in this kind of proto-Nazi behavior has been tainted by the practice and should be considered unfit for any decision-making position in our nation’s public affairs. Most Americans are unaware of — and would be shocked by — how many of their respected political leaders have engaged in this repugnant practice. Historians have tentatively identified at least two current political leaders in the above photos. In the top photo, the boy who is second from the left (in the back) appears to be Sen. Carl Levin (D-MI). In the bottom photo, the seventh child in the fifth row back is thought to be none other than Sen. Edward Kennedy (D-MA). Citizens should demand that the leadership of our country be cleansed of former proto-Nazis. There is no place in public office for anyone with this kind of stain on his or her record. 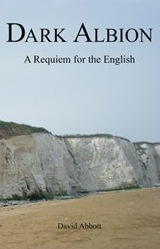 This is the second part of a three-part essay by the British author Paul Weston. Click here for Part 1. The second strand of the cool war is the political/propaganda war, which we are also losing. 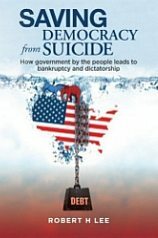 Whether this is this because our ruling elites are terrified of Islamic aggression, harbour a loathing of the West bordering on the suicidal, or exhibit ignorance verging on the criminally negligent is not completely clear at the present moment, but may yet be discovered at some future Nuremberg style war trials. As “The Religion Of Peace” bombs, beheads, maims, murders and rapes its way around the globe, the citizens of the West find themselves inhabiting some sort of parallel universe where the daily evidence placed before their eyes is flatly contradicted by their own liberal ruling elites. Western politicians appear to have appraised the situation and made a decision, based on short-term political expediency, to side with an alien culture that promises violence rather than their own indigenous people, who peacefully — to date — accept pretty much anything. The attempt by Western liberals to portray Islam as the religion of peace is nothing short of pathological. In a sane world this would not be possible, but the West is no longer sane, and this is the message promulgated by our political, media and educational establishments. The Muslim radicals, acutely aware of what would happen if Christians emigrated en masse to say, Saudi Arabia, and behaved as they themselves do in the West, can only rub their eyes in amazed disbelief at not only what they are able to get away with, but the subsequent debased reaction from their victims, manifested in the cringing appeasement of Western elites as they apologise for their wicked existence and prostrate themselves before Allah. Prostrate themselves before Allah! What a typical example of reactionary, right wing, racist hysteria the liberal/left will shriek, but how does one explain the following? When Islamic terrorists blow us up in skyscrapers, trains, metros and buses, the ruling elites immediate response is to ask what wrongs the West must surely have perpetrated in order to attract such animosity. 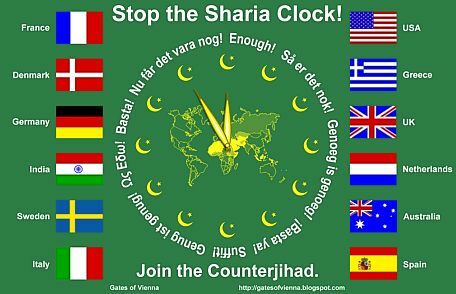 If no particular wrong can be found, our politicians will try to explain it away as the result of poverty and oppression, and should that prove to be false, then some past act of Christian aggression from the 11th century, or the full moon, or Europe’s dreary weather, or anything, simply anything, save the one simple, unpalatable truth: Jihad for the sake of Allah in pursuit of the Global Caliphate. In France, the Muslim street riots of 2005 led to French politicians promising more money for the banlieus and agreeing to turn a blind eye to the Sharia courts, the honour killings and the polygamy carried out within them. In Belgium, native socialist sympathisers have allied themselves with Islam and now politically dominate Brussels, where they use this political clout to ban demonstrations protesting Islam’s growing political control in Europe. 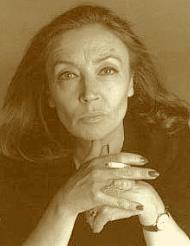 The legislation emanating from the European Court Of Human Rights has meant terrorists wanted for questioning in Egypt and Syria are allowed to remain free in Britain, lest they be tortured if their extradition were granted, whilst Oriana Fallaci, whose passionate love for Italy and democracy was proven in her resistance against Mussolini’s fascist state, was forced to die in exile in America, even as the Italian courts pressed for her extradition to face charges contravening EU laws on racism and xenophobia. Her crime? She wrote two deeply moving books, The Rage And The Pride and The Force of Reason, lamenting the death of her beloved Italy and its replacement by resurgent Islam. If she had sought refuge in any EU country, she would have been forcibly extradited by Europol under another new EU law, The European Arrest Warrant, and tried by Eurojust, who along with Europol now possess powers that override those of nation states; their personnel are also covered by diplomatic immunity. These people were not fit to wait on her table; the idea that she had to flee them is obscene. When investigations (Daily Mail, 23 Nov 2005. 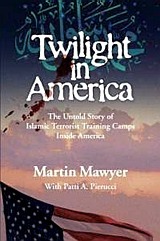 No link) suggested that some 2,000 young Muslims — annually — attend terrorist training camps in Britain for unarmed combat training, the politicians and media tell us that it is only a tiny minority of Muslims who wish us harm, a lie countered by Daniel Pipes who has a web page devoted to surveys revealing the true extent of support for radical Islam. 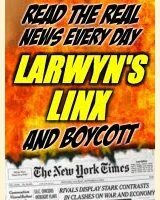 The politicians and the media, who prefer to call Pipes an extremist, ignore this site. One cannot pick and choose freedom of speech, it either exists, in which case one lives in a democracy, or it does not, and one does not. Islam is not simply a religion; it is also a political ideology. The EU has therefore made the protest of a political movement illegal. This is totalitarianism. When Nick Griffin of the BNP predicted — before the London transport bombings of 7/7 — that Britain would be attacked, that the terrorists would be home grown “British boys” and that Islam was a “wicked, vicious faith,” he was prosecuted and tried not once but twice, in an attempt to jail him for inciting racial hatred. When he was found not guilty, the government’s response, at the behest of Muslim leaders, was to bring in a new law, The Racial and Religious Hatred Act under which they could be more confident of jailing him the next time he correctly predicted a terrorist attack and accused Islam of being wicked and nasty. Contrast this with the surreal antics of the British police when radical imams were exposed calling for the overthrow of the West in Channel 4’s undercover dispatches program. The immediate response of the police was not to prosecute the imams for sedition and incitement to racial hatred, but the makers of the program themselves! By drawing attention to genuine racial and religious hatred, Channel 4 was accused of inciting racial hatred. This is more than merely bizarre; this is insane. To date, not one of the Islamic preachers has been tried and prosecuted, despite calling for the murder of Jews and homosexuals, the beating of women and the subjugation of the infidel kuffar. A BNP member calling for the death of “niggers” would quite rightly be arrested and prosecuted, whilst I, as a white European Christian “kafir,” can be abused in a similar vein with impunity. This situation is fast becoming intolerable. When Muslim radicals see this craven appeasement they become, quite naturally, emboldened. Despite being a significant minority, they are aware that they can punch well above their weight, which in Britain now means pushing for Sharia schools and a semi Sharia state. In February 2007, The Muslim Council of Britain (MCB) issued a 72-page manifesto demanding that British schools adopt Islamic guidelines. These included pretty much everything you would expect of a school in Saudi Arabia, including veils for ALL female students, full-length swimming costumes for boys, and separate wash areas for Muslims. The report, which was available at the MCB website has since mysteriously disappeared. If Europeans try to resist further Muslim immigration, they are liable to fall foul of being labelled xenophobic, which under EU laws can carry a prison term of up to three years. If the native British resist the MCB’s ongoing Islamisation of their country then they could, in Bari’s words, only be compared to Nazi Germany. In other words: Peace On Our Terms, as prescribed by Islam and the EU. 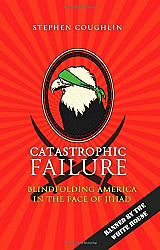 Hizb ut-Tahrir, the Islamic movement banned in Middle-Eastern countries and dedicated to bringing about a global Islamic Caliphate, was supposed to be banned by the British government in the wake of the 7/7 bombings. It has not, and one if its leaders actually works in the Home Office’s Immigration and Nationality Directorate. Needless to say, membership of the BNP would preclude you from such a position. Whilst we are busy denying our culture, Islam is busy promoting theirs. If they run into difficulties, a simple accusation of racism tends to make any potential resistance disappear, whilst our appeasement, increasingly mandated by legal requirement, is one part of our culture that Islam has no problem interacting with. The result of their aggression, combined with their tactical awareness of how to use our appeasing liberalism against ourselves, has bought them a great many political concessions, where our culture and our civilisation are forced to bow to theirs. Halal food is served in many public institutions, swimming baths have Muslim only sessions, crosses are removed from public areas, Christmas is downplayed lest it upset Muslim sensibilities, the Holocaust is dropped from school curricula, as it opposes the Holocaust denial that Muslim children are taught at home and in the mosques. The police drastically lower their entry standards in order to fill racial quotas and then stand idly by as street preaching imams promote death and destruction to the West, spurred into activity on occasion only to arrest members of the native population who heckle or attempt to take photographs. The EU passes laws criminalizing the indigenous population if they speak out, backed up by national governments that do the same. The police arrest us on the slightest pretext, yet ignore genuine hatred emanating from Islamic preachers, and our politicians appear to have tacitly accepted that peace can only be bought off via our appeasement. Living in Europe is becoming a wholly surreal experience that defies logic and reason as we slowly sink into state-enforced Dhimmitude. The various councils, parliaments, brotherhoods and associations, all prefixed by “Muslim” are driven more by political ambition than religious empathy, and their advance is both remorseless and relentless. The political parties representing the indigenous peoples of the West are retreating, apologising, appeasing and betraying. We are not just losing the political war. We are being annihilated. To be continued in part three: The Propaganda War. This story is so appalling, I would like to think this couldn’t happen here. However, given the tenor of the times, and my [limited] exposure to the anti-war websites (no I’m not going to link them), such an incident is not beyond the realm of possibility in certain parts of the US. In fact there are those cretins who show up at Walter Reed Hospital in Washington to jeer at our wounded. So I’ll admit that when I saw the headline, I avoided the story because – American that I am – I am not good at tolerating problems that don’t seem to have a solution. We hate quandaries that we can’t solve with some kind of fund-raising project. Ugh. I clicked to another page. No need to feel outrage over something thousands of miles away that I could not change. The headline stayed with me, though, and I thought of the soldiers and how embittering the experience must have been. Good evening… If you’ve heard of the appalling story about wounded Brit vets being jeered by some…ill-mannered members of the public let’s say, thanks to a reader at one of the blogs I post at, a link to an organization that is raising money for these guys has been found. I myself am putting something up at both sites I post at tomorrow when I update them. 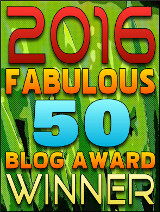 I’m hoping that the blogosphere can do something to help these guys! Please do what you can. Thanks. AGJ enclosed two links, one to The Daily Mail, and another to The Telegraph. Soldiers who suffered appalling injuries in Iraq and Afghanistan were verbally abused as they swam in a public swimming pool. During a weekly rehabilitation class at a council leisure centre, 15 servicemen – including several who have lost limbs or suffered severe burns – were heckled and jeered by members of the public. One woman was so incensed that the troops were using the pool at Leatherhead Leisure Centre in Surrey that she told them they did not deserve to be there. She became increasingly abusive, screaming that it was wrong for staff to rope off a lane exclusively for the injured personnel from the nearby Headley Court rehabilitation centre. The abuse was witnessed by 79-year-old Korean War veteran Charles Murrin, who said yesterday: “I could not believe what she was saying. “The lane was roped off, which they do every week. It wasn’t as if the pool was completely closed. Her group had the rest of the pool to swim in. The soldiers, who use the pool as part of a water therapy course, were quickly ordered out by their instructor to avoid further embarrassment. Mr Murrin, who served in the Royal Navy, added: “I spoke to the instructor in the changing room afterwards and he was livid. 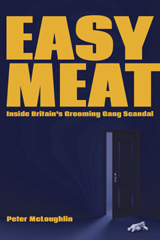 Linda Sinclair, of Leatherhead, also witnessed the abuse. The incident, which took place on November 13, came as a national appeal was launched to raise £5million to build a new rehabilitation pool and gym at Headley Court. The centre treats 180 injured servicemen who have to make a half-hour trip to Leatherhead to use the pool. Last night, Conservative MP Patrick Mercer, a former infantry commander, told of his dismay at the incident. A spokesman for Mole Valley District Council, which owns the leisure centre, said: “There appears to have been a rare incident where two members of the public queried the provision of lanes of the swimming pool for Headley Court. You read those sentences and you wonder if these “spokesmen” are any better than the jeering women. If one of these soldiers were my son, the first place I’d head to would be the Mole Valley District Council. And then I’d find the right office in the Ministry of Defence. The latter would have been thwacked for their CYA jabber, as in “staff did their best to accommodate all concerned…” and I would promptly start a petition for a change in the rules regarding “accommodation for narcissist bullies, which these whingeing women obviously are. But I don’t have a son there, and I wouldn’t know how to start a petition. Fortunately, Average Gay Joe had a link to an organization that can help thwack these idjit women raise funds for heroes. You can use their secure site to donate by credit card. Brewers Shepherd Neame are backing Help for Heroes and helping to support our troops with this great idea. They are producing boxes of 24 Spitfire stubbies with the H4H logo and the slogan ‘Real Bottle’. The packs will be available from Majestic, Booths, Nisa and Makro nationwide in time for Christmas and here’s the best bit… All the brewing profits will benefit our wounded. The women’s selfish attitude disgusts, but doesn’t surprise me. I’ve witnessed similar behaviour at a café when a group of mentally and physically disabled people were innocently enjoying ice cream. Some customers wanted them banned because they were ‘unsightly’. Fortunately, the café owner stood up for them and showed the protestors the door. I hope the same will happen in future in Surrey. The staff at the pool should have shown the same moral indignation to those women that the café owner did. Do you think that the difference in attitude between a small-business owner and a government employee is the personal investment an owner has? Ramadan has come and gone, but all the hustle and bustle isn’t over — there’s still that filthy infidel holiday coming up. What better way to celebrate than to give the Counterjihad 2008 Calendar to your best haram friend? I know, I know — the year should be 1429. But what can you do when you live in the land of the kuffar? 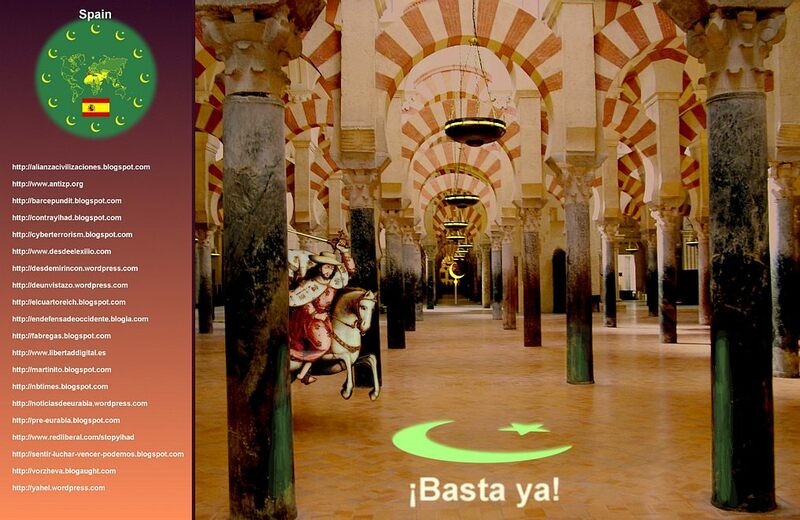 The Counterjihad Calendar was designed to supplement the Brussels conference in October. Some of the same design elements used for the Brussels logo went into the front page of the calendar. You can buy a calendar at our Café Press store, or go straight to the calendar page at this link. 1. To enhance a sense of community among the inhabitants of the countries of the West. We can show solidarity with one another even as we remain patriots within our own countries. The West doesn’t require an artificial and corrupt empire like the EU or the UN to maintain its collective identity. There is something that binds us together, a common heritage that enables us to resist Islamization. 2. To facilitate a greater awareness of the struggle we are all facing and how it is approached in different countries, by listing Counterjihad blogs and websites on the sidebar for each country. An awakening understanding of the threat that Islamization poses to Western civilization is emerging in Europe. The front line in the resistance to the Great Jihad is not in Iraq, or Afghanistan, or Iran. Those countries are well behind enemy lines. The front line runs through Córdoba, Bologna, Antwerp, Athens, Marseille, Berlin, Århus, Rotterdam, Malmö, Oslo, and Birmingham. All of Western Europe is on the front line. Sydney, Dearborn, Toronto, and Varanasi also lie on the front line. The bloody borders of Islam run through the heart of Western Civilization. The Counterjihad Calendar is designed to help link these frontline countries together in the face of the common enemy. Not all the relevant countries could be represented on the calendar. Obviously, there were only twelve slots available, so that New Zealand, Canada, Switzerland, Norway, Thailand, Nigeria, Flanders, and other countries were neglected. Even so, we know you’re out there, living under the shadow of Islamization, just as we are. It is my pleasure to introduce a new Gates of Vienna correspondent, a Briton who prefers to go by the name of “El Inglés”. The speculative future scenario El Inglés lays out below is one of his own devising, yet it agrees with many of my own intuitions about the process now unfolding in Europe. The congruity with my own views is further emphasized by the location in the story where the European resistance begins: Denmark. Concerning the availability of firearms in Denmark: one of my Danish contacts lives in a rural area, and he most of his neighbors own guns. He had assumed that these were all legal hunting firearms, registered with the police. He found out that this was not true, and also that the local police were well aware of all the unregistered guns, but were not concerned about it. This made me feel even more optimistic about Denmark. Now I’ll let El Inglés take over. This account is a long one, but bear with it; it’s well worth reading all the way through. As in all those parts of Europe with large and growing Muslim minorities, Denmark had experienced great difficulty in the early years of the 21st century in trying to maintain its historic freedoms and cultural traditions in the face of the increasingly strident demands of its Islamic population. However, due to a variety of factors including the unhealed scars of the Muhammad Cartoon Controversy (hereafter referred to as the MCC) and the manifest incompatibility of native Danish culture with Shari’a law, the situation worsened considerably in the years immediately after said controversy. The Danish government had some success in slowing the rate of growth of the Muslim population through its new restrictions on granting citizenship on the basis of marriage. However, by the outbreak of the civil war in 2013, that fraction of the population accounted for by Muslims was estimated to be 11%, pushed upward as it was through continued immigration and higher fertility rates among Muslims. Emigration from Denmark, particularly on the part of university-educated native Danes in their 20s and 30s, exacerbated the demographic situation. In June 2008, a simultaneous suicide bombing destroyed five buses in Copenhagen, killing 68 people and wounding 174. Though condemned by all prominent Muslim groups in Denmark, opinion polls made it clear that a significant fraction of Muslims in the country sympathized with the bombers, who had issued martyrdom videos saying that the Danish presence in Iraq and Afghanistan and the MCC had left Muslims ‘no option’ but to strike back. In a pattern seen in the UK after the 7/7 bombings there, Muslim groups became more confident than ever in pressing their demands for concessions of various sorts. Insisting that, however terrible the bombings might have been, they would not stop until Muslims felt their grievances against the Danish state had been addressed, Muslim advocacy groups pushed forward with a series of initiatives designed to drive foreign and domestic policies in directions considered more amenable to Islamic mores. 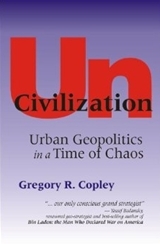 Certain geographically limited urban areas with majority Muslim populations were recognized as Autonomous Cultural Zones. Here, local councils were allowed to pass certain supplementary laws in accordance with the cultural demands of the inhabitants. As these areas all had Muslim-majority councils, this was essentially a rubber stamp for certain Shari’a legal provisions to be introduced without having to make the nature of the concession explicit. Provisions introduced included the prohibition of the sale or consumption of alcohol or pork products and a strict dress code which prohibited the wearing of T-shirts or other ‘revealing’ items to men and women alike. Though ostensibly enforceable by the police via on-the-spot fines, in practice the police presence in these areas dwindled from little to nothing in a matter of weeks. This allowed local Muslim enforcers to step well outside the newly established boundaries, demanding far greater adherence to the Shari’a than had been legally mandated. In combination, these developments drove virtually all non-Muslims and significant numbers of Muslims out of these areas. The Danish government allowed the creation of Shari’a courts to allow Muslims to resolve marriage, divorce and inheritance-related issues in accordance with Shari’a law. Strictly speaking, participation was optional, with any Muslim being free to insist on dealing with these matters via the existing court system. In practice however, community pressures up to and including the threat of violence forced many Muslims, particularly women, to deal with the Shari’a courts against their will. In addition to effectively stripping thousands of Muslim women of their rights under Danish law, the new courts were not long established before their advocates started demanding that the scope of their activities be expanded, to allow them to apply Shari’a rulings in relation to crime as well. These attempts were still underway when the events of July 5, 2012 took place. A sum of $10 million per annum was set aside to fund the activities of the Muslim Foreign Affairs Advisory Council, a body dedicated to researching how Denmark could enjoy better relations with the Islamic world. Though lacking any official authority, the level of funding awarded, the prestige afforded the new body, and the degree of access it enjoyed to decision-makers marked a significant coup for Muslim activists in Denmark. During the approximately three years it was in existence, the MFAAC generated an unceasing flow of proposals. Whether recommending the cessation of diplomatic ties with Israel, the donation of 1% of GDP per annum for aid to the Muslim world, or formal apologies from Danish ambassadors for the MCC in Muslim countries, the focus of the MFAAC on pursuing Muslim interests led it to be viewed by many as an active fifth column. The events of July 5, 2012 stopped these developments in their tracks. A public press conference due to feature key Cabinet members and representatives of leading Muslim groups had been scheduled for the purpose of reaffirming bilateral support for the ailing concession-based policies. At 11:58, two minutes before it was due to start, a massive truck bomb was driven at speed into the security detail at the entrance of the government building in downtown Copenhagen where the conference was due to be held. Estimated to have contained over a tonne and a half of high explosive, the blast obliterated the venue, also destroying two medium-height buildings across the road and causing significant damage to every structure within a 200m radius. The attack claimed the lives of 346 people, wounded 1,500, many of them seriously, and caused $900 million of damage in total. A previously-unknown Islamic terrorist group claimed responsibility for the atrocity, which it said had succeeded in its twin objectives of striking a blow against the Danish Crusader regime and also at those apostate Muslims who recognized its authority. Needless to say, once the ensuing political chaos had abated somewhat, the sitting government and its concession-based approach to things Islamic had fallen out of favour. An election held on September 23 was unprecedented in Danish history for the picture of polarization it presented. Radical Islamist parties captured a majority of the Muslim vote. Though their platforms differed, they showed thematic similarities, ranging as they did from demanding regional autonomy to advocating outright secession on the basis of a geographically consolidated Muslim bloc in possession of key infrastructural items such as ports and airports. On the other hand, the newly formed strongly centre-right coalition advocated a set of draconian anti-Islamization, if not anti-Islamic, policies. These included the deportation of any Muslims without Danish citizenship, the drafting of new legislation prohibiting the implementation of any aspect of Shari’a law in Denmark, indefinite detention of any Muslim suspected of supporting political Islam in any form, and the repeal of all legislation introduced by the previous government to support its policy of concessions. On election day, the coalition swept the board to attain a huge majority in the Danish Parliament, a result which prompted riots across Denmark, not only of Muslims, but anarchist and hard-left groups. As the riots entered their second week, a state of emergency was declared and the Danish military was ordered to maintain order in key urban areas with large Muslim populations. Copycat riots in other European countries, though smaller in scale, prompted European governments concerned about their domestic Muslim populations to urge the Danish government to show restraint and ‘reach out’ to its embittered Muslim minority. Of course, events in Denmark were not taking place in a vacuum. The election of the centre-right coalition and the growing realization on the part of European publics (if not yet their governments) of the magnitude of the divide between Muslim and non-Muslim Europeans did not go unnoticed in the Muslim world. Despite initial displays of sympathy from Muslim governments around the world following the July 5 attacks, retaliation against the Danish state (or the Danish Entity, as Danes themselves now humorously referred to it) by the Muslim world was swift. Having learnt valuable lessons during the MCC, the new Danish government had increased security and withdrawn non-vital personnel from its embassies throughout the Muslim world immediately upon being elected. 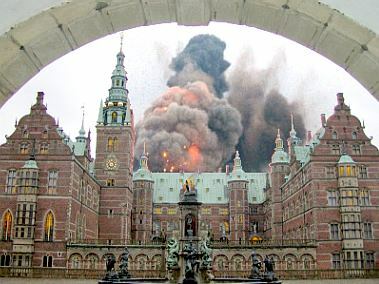 However, Danish diplomatic and business interests were attacked in Pakistan, Algeria, Egypt, Syria, and Iran, resulting in dozens of deaths and the almost complete withdrawal of Danish corporate activity from Muslim-majority countries. Danish citizens were warned against travelling anywhere in the Muslim world, though the number who would have felt inclined to do so was presumably negligible by then anyway. Moving into 2013, it was still far from clear how events would play out, but a number of trends made it obvious that there was little hope that things might improve. Various key trends merit discussion here. Violence and intimidation directed towards non-Muslims living in or around areas dominated by Muslim populations saw a dramatic rise during the Seven Month Calm (as it is now called), from September 23, 2012 to April 23, 2013. At the same time, suspicion, hostility, and violence directed towards Muslims also increased sharply, inducing many of those who lived outside the ghettoes to relocate back in. Genuinely well-integrated Muslims gained attention during this period for the unusually cruel nature of their plight. Trapped as they were between the choices of a forced embrace of the mushrooming Islamic fanaticism in the ghettoes and the now almost-universal hostility towards them and their religion amongst other Danes, several prominent Muslims made high-profile exits from the country. It would be hard to say which side missed them the least. Islamic claims that the Danish state had no authority were hardly a novelty in Denmark, following on as naturally as they did from the universalist claims of the Shari’a. However, native Danes were also becoming increasingly vocal in their complaints that the entire apparatus of state had failed to carry out its most basic responsibilities to the people it was elected to serve. 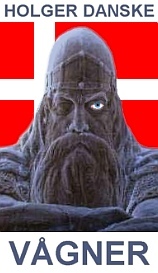 From trenchant criticisms of decades of Danish immigration policy to the huge jump in gun purchases and the formation of informal militias, there was suddenly an abundance of evidence supporting the notion that Danes now viewed their government as an incompetent blunderer at best, an active enabler of Islamization at worst. The rot went deeper than mere scepticism about the merits of specific parties. Having obtained power in September, the new government was struggling to carry out its election pledges. The planned deportations were proving to be a legal and logistical minefield, with government lawyers finding themselves hamstrung by EU Human Rights Legislation, and opposed at every turn by domestic and international human rights organizations. At the same time, the Danish kroner and stock markets, hit hard by July 5, continued to struggle due to the ongoing political crisis, and Danish trade with the Muslim world had dried up entirely due to boycotts. It was far from clear what the current government, or indeed any government, could do to extract the country from the predicament it now faced. In Denmark, as in all European countries, intelligence services had been monitoring the activists of Islamists for many years. However, an alarming spike in Islamist infiltration and activity was clearly visible during the Seven Month Calm. Osama bin Laden’s successor and former second-in-command, Ayman al-Zawahiri, had issued a video statement immediately after the July 5 bombings congratulating the terrorists and saying that Europe was tottering and would soon fall into the hands of Islam. There was speculation among intelligence communities in Western nations that this was a coded message to Islamic terrorists around the world to converge on European countries. Either way, it was soon clear that infiltration into Europe of Islamic militants with experience fighting in Iraq, Afghanistan and other countries was surging, as were the criminal activities associated with them; drug dealing and credit card rackets to supplement their foreign funding, and arms and explosives smuggling for purposes it was difficult to be sanguine about. Analysis of the relevant data showed that Denmark was a key target for these infiltrators to a disproportionate extent. This bias, though slight, was a source of concern for Danish intelligence. However, the open borders of the EU made it difficult to control the movement of Islamic radicals effectively. Though it is not yet clear exactly what happened on April 23, 2013 to trigger the momentous events that followed, a broad outline can be offered here with some confidence. At approximately 19:30, a native Danish couple were taking a stroll at the edge of one of the ex-Autonomous Cultural Zones in Copenhagen when they were approached by a group of four or five young Muslim men. The men insisted that the Danish girl should cover her head or leave the area. She refused, leading to a violent altercation between her companion and the men, which resulted in him being knocked unconsciousness with a fractured skull. The girl herself was dragged off into a nearby alley and gang raped, after which the Muslim men left. Still in shock, the girl called her brother, who then made two phone calls. The first was to the ambulance service, as both the girl and her boyfriend were in urgent need of medical attention. The second was to the leader of a small Copenhagen militia of which he himself was a member. It seems that the ambulance service and the eight members of the militia arrived at the scene at the same time. The militia members, heavily armed with semi-automatic rifles and in vehicles, ignored the attempts of two policemen who had happened upon the scene to placate them. After ensuring that the young man and woman were being treated and asking for a description of their assailants, they drove off in the general direction they concluded they must have gone, back into the ex-ACZ. Details of what ensued are difficult to ascertain. However, it seems that the militia members quickly encountered two men whom they considered a good match for the descriptions they had received. Disembarking nearby, they challenged the men and, after a brief verbal altercation, shot and killed them. Having chosen, for reasons that are not clear, not to leave the area immediately despite the unfavourable attention they were now receiving from a growing crowd of angry Muslims, they came under fire and returned it. Given the aforementioned crowd, and the militia’s high capacity military-issue rifles, chaos quickly ensued, with dozens of Muslim casualties. Though property damage in the surrounding area, caused largely by fire, destroyed much of the existing CCTV hardware, footage from those left untouched was later combined with that automatically transmitted to police headquarters to provide a gripping, though fragmentary, depiction of the last stand of the surrounded militia members. For approximately an hour, the gradually dwindling band tried to fight its way back out of the ex-ACZ it had entered, inflicting scores of casualties on Muslims armed with firearms and Molotov cocktails. The end, when it came, was gruesome. After running out of ammunition, the sole surviving militia member, with a gunshot wound clearly visible in the left side of his abdomen, was surrounded and torn to pieces by an enraged Muslim mob. This final footage was time-stamped 21:37, April 23, 2013, as good a moment as any other to mark the start of the open warfare that erupted across the entire country as word of the battle spread. In a marked departure from earlier Muslim riots in Europe, the Danish riots that commenced the night of April 23 had a much more serious character from the start, and nowhere was this more visible than in the nature of the violence. Though there was the predictable amount of Molotov cocktail-throwing, car-torching, and raw physical violence on the part of Muslims, there was also a large amount of firearm violence. Crude and largely ineffectual though it tended to be, it caused a number of casualties throughout the day. Suspicions of some degree of organization and preparation were to be proved correct by subsequent events. More striking was the response of the other side, particularly the militias. The sheer scale of the violence, its geographical range and the number of people involved made it impossible for the police and the army to seal it off from the country at large. Though the violence was focused in and around the Muslim ghettos, the lack of any boundaries between these areas and their surroundings turned virtually every urban area in Denmark into a potential battle zone. In response, as the government entered an emergency session to formulate a response to the situation and the police and army were deployed in strategic locations, many Danish citizens, most of them members of one of the large number of militias, fought back against Muslims with startling ruthlessness. The ready availability of firearms in Denmark coupled with the high average level of firearms training in the country meant that the militias were in a strong position to contest the situation. Violence raged across great swathes of urban Denmark as scores of Muslims were killed by gunfire across the country. Arson attacks by Muslims numbered in the hundreds, and fire departments struggled to combat what was being turned into a weapon of war by the more poorly armed Muslims. Violence continued in a similar manner, with both sides ignoring the calls of the government to cease fighting. Tense confrontations between armed citizens and the police were common, as the militias, already showing increased organization and purpose, disputed the authority of a government that had, they felt, failed so completely to safeguard the security of the country. Vicious street-fighting throughout areas bordering Muslim ghettos had driven people living in those areas to retreat — Muslims further into the ghettos, non-Muslims out toward solidly non-Muslim areas. This gradual creation of a no-go zone between the combatants only reinforced the sense for some that this was a war, however unconventional. Television crews from around the world streamed into Denmark to report on the situation, almost inconceivable in a Northern European country. Taking advantage of the lull in the fighting brought about by the increasing physical separation of the combatants and a day of unusually poor weather, the Danish police and army moved to encircle all substantial Muslim ghettos in the country. Sporadic fighting continued where the state presence was light. Militia leaders insisted on retaining forces in strategic positions and being consulted on developments. TV crews were now camped on both sides of the front line, broadcasting both sides of the unfolding crisis around the world. The situation by noon on May 4 had largely stabilized as follows: All major and most minor Muslim ghettoes were now surrounded by an as-yet chaotic mixture of army, police and militia forces. The abovementioned no-go zones, a series of rings between one to three blocks in thickness around each ghetto, were now empty of people, with many of the buildings having been gutted by fire and looting. The political scene was still in flux, it being unclear to what extent civilian leaders retained effective control of the military or police forces, which made few serious attempts to disarm the militias. The situation inside the ghettoes was known to the world through the broadcasts of the TV crews inside, many of them from Arabic-language news channels such as Al-Jazeera and Al-Arabiya. 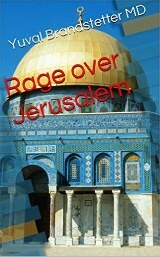 A steady stream of Muslim suffering, threatening, and ululating was transmitted around the world. The Danish kroner and stock market had now both collapsed, prompting leaders of business and industry to act decisively to pull the country back from the brink. What exactly might accomplish this was unclear, however, given that the authority of the government itself had been greatly weakened. The Danish Prime Minister announced his intention to dissolve the government and step down from his position. Various key members of the Danish parliament struggled to put together an emergency caretaker government. The Danish police and army started to see significant numbers of defections to key militias. Leaders of the most powerful militias, backed by one of Denmark’s most senior generals, issued a joint statement on national television declaring that the caretaker government being hastily cobbled together by key Danish members of parliament would be illegitimate should it even be formed. They declared their intention to deal with the Muslim situation in their own way, thereby guaranteeing the continued existence and security of the Danish State. Significantly, they issued two further proclamations: that no Danish citizens would be subject to punishment by law for using reasonable force to defend themselves, their loved ones, or their property, and that Muslims were no longer to be considered Danish citizens unless pronounced so by the militia councils then in the process of being formed. 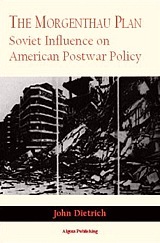 The consolidation of political control of the vast majority of the ghettoes by radical elements, many of them Al-Qaeda affiliated, was made clear by the rebuffing of all attempts to establish formal contacts with the ghettoes, formal or informal. Indeed, one militia member approaching a ghetto through the surrounding no-go zone under cover of a white flag was shot and killed by a sniper. TV broadcasts from the camps continued, providing a stream of coverage 24 hours a day from both Muslim and non-Muslim news crews. However, it gradually became clear that they were being censored, if not directed, by extremist Muslims, consisting as they did largely of exhortations to jihad and footage of dead and wounded Muslims within the ghettoes. A number of TV crews managed to make their way back through the no-go zones to the Danish side. They spoke of the growing squalor and rapidly-depleting food supplies within, and the total control that militant Islamic elements now enjoyed. A well-organized, double-pronged night attack from within one of the larger ghettoes temporarily pushed through the no-go zone to give Muslim elements control of a three-by-three block segment of a Danish area. Using small arms fire, RPGs and a certain amount of light machine gun support, an estimated fifty fighters expelled Danish forces from the area by midnight. Though a concerted counterattack spearheaded by an armoured unit forced the Muslim militants back out of their positions by early the next morning, total casualties taken by the Danish forces (militias and army elements) were heavy. This spoke volumes as to the infiltration of Denmark by experienced jihadis, and the extent to which Muslims had armed themselves in preparation for some sort of societal breakdown. 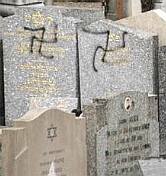 A day of demonstrations planned by Muslims throughout Europe to display solidarity with the ‘new Jews’ spiralled out of control, leading to huge riots in major European cities. Riot police were unable to regain control of the situation in parts of France, the Netherlands, Belgium, and Sweden, where key Muslim ghettoes saw a complete breakdown of law and order following their ostensibly temporary abandonment by the police. Rocked by these events, the Swedish and Dutch governments denounced Denmark for its heavy-handed approach to the ‘unrest’ it was facing. In contrast, the French government issued a statement of unequivocal support, and declared its intention to maintain the security of the French state at all costs. Due to the physical proximity to Denmark of the now uncontrollable Malmö region of Sweden and the notable lack of Scandinavian solidarity on Muslim issues, Denmark closed its road and sea connections with Sweden. Militias and ex-navy elements stepped up patrols of the Danish coast near Malmö to prevent the possible infiltration into Denmark of radical Islamic elements in Sweden. Multiple suicide bombings in European cities claimed thousands of lives in public buildings and on public transport. Paris, Birmingham, Amsterdam, Seville, Rome and Brussels were particularly badly hit. The inability of the security forces of said countries to break up the plots is considered to be largely due to the exponential growth of unaffiliated cells of self-motivated Islamic fanatics. Increasing polarization along Danish lines started to become more visible throughout Europe, as European governments found themselves swept along by the same forces that resulted in the eventual disintegration of the Danish government. At the same time, Muslim governments around the world moved towards adopting, more or less willingly, hard-line stances with respect to all European nations, threatening dire consequences if Muslims in the Danish ghettoes continued to suffer. Smoke drifted high above the ghettoes as Muslims were forced to start cremating the corpses of the many hundreds, if not thousands, of Muslims now dead from wounds, disease, and starvation. The inter-ghetto coordination evident in this (strictly un-Islamic) activity prompted speculation that it also served as a propaganda tactic, but of the increasingly dire situation in the ghettoes there was by now little doubt. The electricity supply had been almost completely cut in the early days of the crisis, as had the telephone grid. The mobile phone network still covered the ghettoes to some extent, thereby allowing a degree of communication, but deliveries of food, medicine and other supplies were kept to a bare minimum by militias. The cremations were covered widely by the international media, with some commentators, particularly in the Muslim world, drawing comparisons with the Nazi death camps and the Warsaw ghetto. The militias increased the electricity supply to the ghettoes, simultaneously announcing a plan to start gradual evacuations of Muslims to safe areas where they can be prepared for deportation to their countries of origin. Within hours, the OIC issued replied with a counter-statement saying that its member states would not participate in the ethnic cleansing of their fellow Muslims from Europe, and would close their airspace to Danish flights attempting to deport Muslims. Danish construction companies officially started work on a complex of internment camps across the country for the purpose of holding and pacifying the country’s Muslim population until a permanent resolution to the crisis could be found. Remarkable scenes ensued on the Muslim side of the no-go zone in Odense as approximately fifty Muslims, mainly women and children, marched out into the zone holding white flags and banners saying ‘We Surrender’ in Danish. The leaders of the group were seen to become involved in a brief altercation with two masked Muslim men, an altercation which ended when one of the men drew a handgun and carried out a point-blank execution of three Muslim women. Its progress thus halted, the group was forced to return to the ghetto. A joint militia council announced a plan to sweep all ghettoes one by one, crushing all armed resistance, and relocating all Muslims to the rapidly growing internment camp complex, women and children in one set of camps, males aged 16 or over in another. These plans were announced by loudspeaker into every ghetto in the country, with supplementary information to the effect that resistance of any sort would not be tolerated. As the announcement was made, all water, sewage, electricity, gas, phone, mobile phone, and Internet services to the ghettoes were cut, as were all deliveries of food and medical supplies. Muslim leadership elements announced their intention to fight off the assaults, inshallah. An Al-Qaida cell consisting of white converts, having infiltrated Denmark from Germany, unleashed a sarin nerve gas attack on the Copenhagen public transport system, killing 98 and leaving a further 2,000 in need of medical attention. Punitive counter-attacks on ghettoes by militias, their ranks swollen by a fresh batch of army and police defectors, caused thousands of casualties as strategic areas of key ghettoes were cleansed of Muslims in scenes of extraordinary brutality. The Reverend Jesse Jackson arrived outside the largest ghetto in Copenhagen as a self-appointed peace envoy. His convoy was destroyed by large-calibre sniper fire as it crossed the no-go zone. Both sides claimed responsibility. U.S. President Al Gore declared Islam to be a religion of peace. The scenario above is not intended as a prediction of what is likely to transpire with respect to Islam in Denmark or any other country. 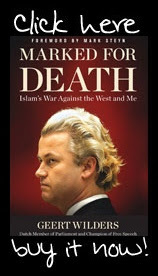 Rather, it is intended as a narrative, stitched together out of a large number of events (such with much precedent, some less) to try and stimulate an examination of the long-term implications of the Islamization of European countries, and certain issues that may have to be dealt with in fighting it. It is reasonably plausible in certain respects, and less so in others, but it is hoped that it will at least act as a springboard for further discussion. When one discusses the existential threat posed to European nations by their large and rapidly growing Muslim populations with those not yet convinced of it, one of the most commonly-heard objections is that the notion smacks of a conspiracy theory. ‘So they’ve come here to take over, have they?’ goes the incredulous response. This line of thought, though misconceived, is superficially persuasive to some degree and not easily refutable by simply pointing out that some small minority of Muslims in each country is in fact quite vocal about its desires in this respect. As such, it deserves some discussion here. The ‘Good Cop, Bad Cop’ analogy has often been suggested to provide a model for understanding Muslim behaviour in certain regards: Bad Cop carries out terrorist atrocity, Good Cop expresses profound sorrow but suggests that attacks will continue as long as certain demands are not met. However, in this model the Good Cop and the Bad Cop act on the basis of an explicit understanding of their roles, in pursuit of an objective agreed upon in advance. As one assumes that Islamist lobby groups and would-be terrorists are not actively colluding, we must answer the question of how an analogous coordination could take place, or abandon the model. The coordinating force in question is, of course, Islam itself. Given the religious totalitarianism intrinsic to it and the imperative it contains to expand the geographical domain of that totalitarianism, it is hardly surprising that Muslims in a non-Muslim society should pursue Islamization, and that they should pursue it in a variety of ways given the broad spectrum of personalities, backgrounds, skills, and social standings they will be drawn from. There is no reason why Muslims cannot reference the actions of other Muslims they have never been in contact with in attempting to convince Europeans to meet their demands. Indeed, they will be extremely likely to do so, as these actions can comprise the single most obvious dilemma facing said Europeans with respect to their Muslim populations. Consider the suggestion of the Muslim Council of Britain to the British government that incorporating Muslim holidays into the official calendar and allowing Shari’a-based divorce could help to reduce the rage felt by the UK’s Muslim population and prevent future terrorist attacks. The manifest implausibility of this notion makes its opportunistic nature clear. The MCB may have genuinely disapproved of the attack and may have silently cheered it, but the opportunity would have been utilized regardless. Thus, terrorists and lobbyists achieve a high degree of teamwork without even having any specific knowledge of each other’s existence. Asking who acts as a coordinator would be equivalent to asking who ‘coordinates’ the anti-Semitism of Nazis, be it expressed through political activism or attacks on Jews. In this case, Nazism itself is the sole and sufficient coordinator. An alternative formulation would be to say that the Islamization conspiracy is coordinated by none other than Islam itself, the invisible hand that takes the activities of millions of Muslims unknown to each other and combines them into a coherent whole, clearly visible to those with the will to see it. What is most interesting about this conspiracy is its public nature. 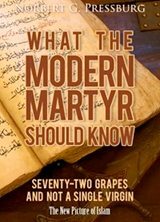 The texts, doctrine, laws, and history of Islam, together with much analysis of the same, are more available to non-Muslims than ever before, along with a steady flow of news about their global behaviour, and a large and growing number of Muslims who explicitly declare the supremacist nature of their religion. 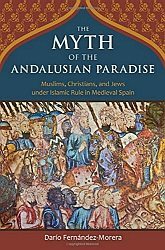 Despite this, it remains quite invisible to huge numbers of otherwise intelligent non-Muslims, who assume the problems caused with remarkable consistency by Muslims and only Muslims, wherever they are to be found in large numbers, are teething troubles that would disappear if only some list of conditions were fulfilled. There are surely many people of good will in European countries who are not as concerned as they should be about Islam due to their inability to distinguish between harmless concessions to a community genuinely eager to fit in, and the latest of the thousand cuts that Islam hopes to defeat us with. Formulating a strategy for helping such people see why even minor concessions should be opposed, perhaps in the manner outlined above, could be a valuable activity. The extent to which non-government actors can prepare themselves to usefully combat Islamization will be a function of, amongst other things, the availability of firearms in their respective countries. One of the most significant effects of the right to bear arms enshrined in the Second Amendment of the U.S. constitution is the way in which it allows the creation of a safety net of sorts, a fallback position for the nation at large. Given that some degree of physical coercion, or at least the threat of such coercion, must exist for a society to maintain itself, it follows that concentrating the means of that coercion (firearms and the relevant training, in a modern context) in a single agent (the government) is an extremely risky strategy when the competence, benevolence, and political courage of that agent cannot be taken for granted. In contrast, allowing these means to be distributed more widely throughout a given society creates a more fracture-resistant polity, where the failure of a single part of the system cannot result in catastrophic failure, considered here to be the complete breakdown of law and order and an ensuing descent into chaos. This all being the case, the legal availability of firearms in a country is likely to prove a key indicator of how, and how effectively, that country will respond to Islamization when it becomes clear that the problem is existential and government either cannot or will not respond appropriately. Of course it is likely that, as Islamization proceeds and the intractable nature of the problems it creates becomes ever more evident, the illegal acquisition of firearms will become more common. However, it must be observed here that a lack of legal access to firearms over a period of some decades creates a further two handicaps in addition to this obvious legal one. The second, more serious handicap, is the lack of firearms training and experience among the population at large, a difficulty which cannot be remedied easily or quickly. The third handicap, more serious still, is the psychological handicap, whereby the vast majority of the population of an entire country has been stripped of the very notion that citizens might have an obligation to bear arms to protect themselves, their loved ones, and their ways of life. Though some will undoubtedly reacquire this mentality quickly, most people will find themselves adrift in a world bearing no resemblance to that which they thought they lived in. As such, one of the most pressing issues facing those who would oppose Islamization is the addressing of these three handicaps, in order of seriousness. The psychological handicap, of course, can, in principle, be addressed anywhere. The issue of training can be addressed legally in some European countries, and even natives of those where it cannot could, in principle, travel to those where it can to receive firearms training. It is not, after all, illegal to learn to shoot unless one happens to be screeching ‘Allahu Akbar’ at the same time. Failing that, even firearms knowledge gained from books (how does a semi-automatic pistol operate?) would prove itself significantly better than nothing in a time of need. It is important to stress that circumventing the legal handicap by acquiring any kind of firearm on the black market would be a bad idea at present, and the current author does not advocate any such activity. Things will presumably take care of themselves in that respect when the situation has deteriorated sufficiently. Those fortunate enough to live in countries where firearms can be acquired legally should take full advantage of the opportunities so afforded as soon as possible, bearing in mind that governments have been known to introduce draconian restrictions on the legality of firearms in very short periods of time. Perhaps the single greatest unknown when considering the likely course of future developments is the role of the state. Where the apparatus of state is strong and considered legitimate by the population it governs, will it seek primarily to stifle opposition to Islamization, for whatever reason? Will it remain effectively neutral, maintaining order and enforcing the law as even-handedly as possible? Or will it turn on its Muslim population, killing, incarcerating, and deporting them in an effort to reverse the inexorable Islamization it has belatedly woken up to? Not only would it appear to be futile to try and answer these questions, the legitimacy accorded the state will itself vary as a function of how it acts, potentially undermining its ability to act in any coherent manner at all. A problem of this complexity is difficult to begin to conceptualize, let alone impose any intellectual order on. Is it possible to say anything concrete in this respect at all? There is one observation that is surely worth making. Given the strength of the state in all Western European countries, and the legitimacy it enjoys (deservedly, as a brief look at vast swathes of the Earth’s surface will make clear), it seems highly unlikely that it will simply disintegrate in the manner outlined in the fictional scenario that makes up the first section of this document. Though new, non-governmental organizations will surely spring up to supplement or contend with the organs of state in response to Islamization, it seems safe to assume that the apparatus of state in European countries will continue to occupy centre-stage in this drama for some time yet. Why then, does the scenario outlined in the Danish Civil War diverge so drastically from this prediction? The reason is simply that it is incumbent on us to consider worst-case scenarios, not best-case scenarios. 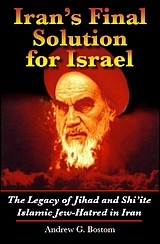 In the best-case scenario, state and people would decisively oppose and reverse Islamization, using whatever level of violence (in the broadest sense of the term, including all forms of physical coercion) were necessary to secure their countries against the totalitarian political system that Islam is. Furthermore, they would do so soon, before Muslim populations became so large as to make a relatively orderly solution to the problem impossible. In such an eventuality, no particularly careful analysis of the process of de-Islamization would be necessary. Indeed, the main problem would be determining how to restrict the measures brought to bear on Muslims to the minimum necessary, rather than allowing a resentful population to create great suffering for millions. However, though political parties explicitly opposed to the Islamic penetration of their countries have started to become more visible presences on their respective domestic political scenes, it is hard to predict a rapid change in attitudes towards Islam on the part of major political parties and thousands of influential people in the media and academia. 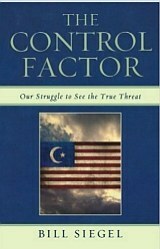 The sheer magnitude of the intellectual and emotional investment in their current stance vis-à-vis Islam prohibits it. Given the overwhelming momentum of our current political apparatus then, it seems that private citizens must do what they can to prepare for what may come without expecting a great deal of their governments, at least in the near future. They should remain open to the possibility that future events may shift those with political power towards their way of thinking, whilst preparing themselves for the possibility of a total collapse of the authority of the state. The economic analogy afforded by the phenomenon of inflation is extremely instructive in any consideration of the questions of group identity or group membership. Consider the familiar chain of events when countries start printing money to cover obligations that cannot be met any other way (public salaries, government bonds, etc.). The entry into circulation of new money without a commensurate creation of new wealth means that each unit of currency corresponds to less wealth, with prices rising as a result. Though the motivations underlying the ‘printing’ of new group memberships (i.e. the issuing of citizenship or equivalent status) are clearly different, a partial analogy can be drawn in terms of the effects. In a country like Japan, which has yet to develop an interest in allowing mass immigration from the developing world, citizenship (group membership in the Japanese nation) is remarkably clear-cut. To be Japanese is to be a member of that ethnic, linguistic and cultural community located on the Japanese archipelago. Though it is possible in principle to obtain Japanese citizenship, it is extremely difficult and time-consuming and will not result in one being thought of as Japanese by the Japanese. Why not? Because one would simply not be Japanese, irrespective of government or media propaganda to the contrary (propaganda which does not exist). This state of affairs, in which the conditions for citizenship are universally agreed upon by group members and not undergoing non-organic, top-down attempts at revision, can be likened to a stable currency. In Japan, Japanese citizenship is a solid gold coin, its value unquestioned in social transactions. When a government ‘prints’ new citizenships at a rate necessitated by mass immigration, it is attempting to create a new set of criteria for group membership. In effect, it is saying that the old criteria, evolved over a period of centuries, if not millennia, are to be rewritten by bureaucratic fiat, under cover of a smokescreen provided by meaningless boilerplate about ‘shared values,’ and ‘diversity.’ The timescale for this rewriting will be massively compressed relative to the initial evolutionary timescale, making gradual adjustment impossible. As this process advances, two things will become clear: the legal reality of the citizenship of the newcomers, and the utter incompatibility of at least some portion of them with the still deeply-entrenched membership criteria of the natives. Consider the case of Abu Hamza, that charmingly photogenic favourite of the British tabloids up until his arrest, trial, and incarceration by the British state. Given that the Home Office granted him a British passport after his (reputedly bigamous) marriage to a UK citizen, he was declared, in effect, by the state to be as British as anyone else. This is the first step in the inflationary analogy. The second occurs in extreme cases, in which governments, not understanding the relationship between printing money and inflation, start blaming their monetary woes on others, as in Robert Mugabe’s Zimbabwe. The official rate of inflation in Zimbabwe in late 2007, measurable in the thousands of percent per annum, was not, Mr. Mugabe would have us believe, a result of government policies that had predictably destroyed the economy, but of an international conspiracy masterminded by the Blair government. In response, the Mugabe regime responded by criminalizing the perfectly natural, indeed inevitable, price-raising of retailers, introducing price controls that would force them to sell at a loss. The eventual outcome of this saga is not yet clear, but one suspects that Zimbabwe will not be a happier place for it. The causes of inflation being reasonably well understood, such madness is uncommon. It seems to be universal in the immigration analogue however, at least among very significant parts of the government, media, and population at large, who claim that racism, xenophobia, fascism, or some combination thereof is to blame for the reluctance of European populations to be taken over by Islam. Attempts to criminalize the perfectly natural responses of the original populations become (such as vociferous criticism or mockery of Islam) more prevalent. Again, the outcome of these developments is not yet clear, but it is unlikely to be positive. The only thing that can be predicted with certainty is the eventual rejection of the notion of citizenship foisted on people by their governments, in the same way that money is increasingly rejected Zimbabwe in favour of barter economies. This will be a catastrophe for immigrants who succeeded in genuinely adapting to their new homes. A new legal structure for citizenship, as inclusive as possible of existing immigrants whilst providing effective defence against Islam, should be considered a matter of some urgency. Notably absent from discussions about appropriate responses to the Islamization of Europe is the concept of the end game. If those opposing Islamization, in whatever manner, in whatever part of Europe, over whatever time frame, succeed in achieving their goals, what sort of Europe would we then be living in? How would it most obviously differ from the Europe of today? Here, in closing, the author will make clear his own answers to these questions. These will be predicated on the following six notions. Though we are regularly treated to the refrain ‘Islam is not a monolith,’ Islam is in fact a remarkably consistent and enduring set of ideas about the world and how human beings should behave in it. In Hugh Fitzgerald’s formulation, it is doubly totalitarian, both in terms of the demands it makes on the believer, and its claim to political dominance over the whole world. Given that no aspect of human life is left unregulated by Islam, and no human life considered outside its authority (as Muslim or as dhimmi), seeking to arrive at some modus vivendi with it is pointless and counterproductive. Its sway over law, custom, and the general mode of life in Europe must be reduced to nil. The Islamic world has occasionally played host to trends which we could consider to be reformist in nature. There have been times and places where freethinkers have flourished, and scepticism about the central claims of Islam permitted. However, it is difficult to escape the conclusion that Muslims have been remarkably successful in extinguishing these movements in their attempts to protect orthodoxy, and their ability to do so is still something to be reckoned with, even in European countries. Moreover, Islam as a whole seems to be on a downward trajectory in this respect, with supposedly moderate Muslim countries seeing Shari’a law extend its authority (Turkey, Malaysia) as others dissolve into failed states dominated by psychotic theocrats (Pakistan, Iraq, Sudan, Afghanistan). As a result, the oft-discussed issue of Islamic reform is in fact wholly irrelevant to any discussion of the response to Islamization. There is simply no reason to believe that reform, if possible at all, could take place on a timescale which might affect the course of events in Europe. The lay of the battlefield and the forces arrayed upon it will surely be clear within twenty years. Those who believe that Islam, a protean force, and one of the most successful political ideologies of all time, will reform itself just in time to save us the bother of having to fight it are engaging in as deluded a bout of wishful thinking as could be imagined. This is not to deny that some nominal Muslims in Europe will drift away from it, but drift is not reform. Islam has an unmatched ability to hollow out that which it absorbs. Stripping away intellectual and artistic freedoms to replace them with a predilection for frothing, ululating, and burning effigies, having once taken possession of a stretch of the Earth’s surface, it admits no rivals to its dominion unless defeated by force of arms. Unlike an ideology such as Communism, it cannot be discredited by its material failures. It is not an economic policy that can be abandoned if it fails. One cannot try it on as one might try on a hat, free to take it off and try another if it fails to please. Once a majority of the people in a polity accept it, it will prove impossible to dislodge. Islam is not a dark valley from which one eventually emerges after a period of struggle. It attacks too furiously and successfully the habits of thought that would be required to undermine it. For this reason, the battle with Islam must be considered existential in nature. To lose it would be to accept the utter destruction of one’s way of life and everything good in it. If the Muslim population of a country were to peak at, say, 1% of the total, it could perhaps be ignored. After all, Nazism is also a murderous, totalitarian ideology, but its continuing presence in European countries does not appear to be an existential threat to them. However, as is well known, Muslim birth rates are significantly higher than those of non-Muslims throughout Europe. No pernicious ideology (Communism, Nazism, etc.) that has afflicted Europe in recent history has benefited from this dynamic. Yet it is a dynamic of massive implications. Imagine if, by some means unknown, the Muslim population of the Netherlands as a fraction of the whole were to halve overnight, from 6% to 3%. This huge change would have no significant effect on the long-term trajectory of Islamization in the country. It would merely delay it by as long as it took it to rise from 3% to 6% in the first place, if one assumes identical growth profiles both times. This period, surely not more than two decades, would be a historical blink of the eye. Delaying the Islamization of a country in this highly unrealistic manner, though hugely beneficial in and of itself, does not represent a solution to the problem. Indeed, it ensures its continuation. As such, the Muslim population of a country seeking to avoid Islamization must be stabilized, and at a level low enough to remove Islam from the public sphere. There may be those who think that separatism is the most likely path for events to take. Can we not simply detach ourselves from our Muslim populations, letting them go their way while we go ours? One could envisage a population transfer in which Muslims and non-Muslims sorted themselves out in two geographically separate blocs. Might this not provide the best solution to our growing dilemma? Not only is the answer to this question no, it is vital to understand that this would be one of the worst conceivable outcomes for European peoples, because it would solve nothing while giving the impression of having solved everything. Here we will demonstrate why this would be the case. Assuming the validity of the above four points, we would, after partition, be faced with a viciously intolerant and supremacist Islamic mini-state, almost certainly led by extremist elements given the acrimony that would result from partition. This state would have to have been granted airports, ports, power stations, and other key infrastructural items to allow it to be viable at all. The chances of it being economically self-sufficient would, however, be virtually nil, so it would be obliged to extract some sort of subsidies from somewhere, presumably the parent state. Its fertility rate would still be higher than that of the parent state, which would create incremental increases in its demands for financial support and further pressures for new geographical concessions due to population increase. The Muslim state would continue to represent a terrorist threat to the parent state, and would make continuous attempts to subvert and destroy it. It would be able to reinforce its position militarily in a way which would have been impossible if it had consisted solely of scattered Muslim ghettoes under the watchful eye of the original state. With control over its own borders, it could import the arms and equipment needed to build defences that would make it extremely hard to take by conventional assault, as per Hezbollah in southern Lebanon. Lastly, there would always be elements within the parent state itself wedded to the belief that the granting of some list of concessions would enable peaceful coexistence. Such elements would represent an ever-present threat to the parent state, a threat which would presumably have no parallel in the Muslim state. There could even be Muslim elements within the parent state, ‘moderate’ Muslims who had been allowed to remain as they had ‘integrated’ so well. Given the track record of such people to date in Europe, it is impossible to dismiss the possibility of their continuing collusion with their co-religionists across the border. Those who consider this prognosis too pessimistic should consider the case of India, which is illuminating in some, though not all, of these respects. Created in 1947 through the partition of British India into a Hindu state and a Muslim state, India had a Muslim population of approximately 8% at independence, with West and East Pakistan having Hindu populations of approximately 25% each. Over the course of the next 60 years, the westernmost part of the now-fractured Muslim state, Pakistan, would drive out or kill nearly all of this Hindu population, which now stands at less than 1%. The easternmost part would see genocide and ethnic cleansing force the Hindu population down to approximately 10%. This as Muslims clamoured for their fundamental human right to self-determination in Kashmir! For its part, India would see its Muslim population grow from 8% to an official figure of 13%. However, mass illegal immigration from Bangladesh has swelled the actual figure well above this total, to an estimated 16%. India continues to be afflicted by endemic terrorist attacks, and faces the same existential demographic issues as does any other state with a Muslim minority. What will it do when its Muslim population reaches 25%? Repartition? Why would this repartition not then be followed by the genocide and ethnic cleansing of Hindus in the new Muslim state once more? How would it avoid leaving an Islamic seed in the new, reduced India, to start the cycle over again? When and how does this process come to a halt for India? When Islam reforms? We must not walk this path in Europe. If the problem must be dealt with, it must be dealt with permanently once the political will exists. Separation is defeat in the long term. Should it come about due to forces beyond the control of those fighting Islamization, it must be considered a temporary phase, to be addressed with all haste. Absurdly inflated claims to have invented virtually the whole of modern mathematics and science are routine from Muslims and their apologists. In fact, we owe Islam little in these respects, and nothing in any other. Immigrants who have come to Europe, worked hard, obeyed the law and done their best to integrate into their new homes must be considered valued citizens on a par with any others. However, Muslims can overwhelmingly be placed in one of two categories: those who are fiercely committed to Islamizing their host societies, and those who have vociferously rejected and opposed any critical examination of their religion by non-Muslims. None of these people are owed anything by those who see no good reason to have their way of life destroyed by a 7th-century war-fighting cult. There are billions of people in the developing world who would dearly love the opportunity to build a better life in Europe. Those who gain it, only to spit in the faces of those who have taken them in, cannot expect to be treated with particular consideration. The nature of the problem is made clear by the first five points above, and the moral nature of a robust response to Islamization the sixth. Islam is a totalitarian political ideology, impossible to reform on any useful timescale, impossible to supplant once deeply embedded, demographically destined to become ever more threatening, from which we cannot simply separate, and which we owe no consideration. What would a Europe that had succeeded in defending itself against this cancer look like? The answer is twofold. Firstly, it would not have many Muslims in it. As a rough figure, and taking into account European experience to date, a Muslim population of not more than 0.5% might prove manageable. How this population could be kept at or beneath this level is not clear. Secondly, a Europe no longer threatened by Islam would have no geographical concentrations of Muslims at all. Muslims who wish to live in Muslim ghettoes are surely capable of locating a suitable ghetto in their own country and moving there. There is no reason to allow their recreation in civilized countries. Given that Muslims will be unlikely to give up their religion, however nicely we might ask them, there are only three ways of achieving this state of affairs. They are discussed below, in order of increasing unpleasantness. The effectiveness of such measures, implemented in concert by an angry populace and a determined government, could convince many Muslims that Islam’s time in Europe was drawing to a close, inducing large numbers to leave. Given that they would no doubt be accompanied by a good deal of freelance hostility towards Muslims, they could be very effective indeed. However, there would almost certainly be many who would stay, whether due to a genuine attachment to their host countries, their appreciation of the hideousness of their own countries, or a desire to fight it out. After all, the growing hostility to Muslims in Europe does not yet seem to have dampened their desire to live there. The second way of reducing the Muslim population of a country would be to simply throw huge numbers of them out. As such a policy would be unlikely to be adopted all of a sudden, it would probably be implemented on the heels of the first option. Let us consider some numbers. If a single passenger aircraft carries 250 people, then 4,000 flights can remove 1,000,000 people, approximately the Muslim population of the Netherlands. At ten flights a day, this process would take a little over a year, so the gross physical plausibility of the scheme is easy to establish. Furthermore, the legal issues involved in such a mass deportation are irrelevant, as any country embarking on a scheme of this nature would already be far beyond caring about such niceties, or about what derogatory comments might be made about it at the UN. Unfortunately, the logistical difficulties would be fairly considerable, to put it mildly, and would undoubtedly necessitate the preparatory internment of the entire Muslim population. This could not be achieved without the massive application of brute force, and would be a process likely to spiral out of control given the numbers of people in question. It also assumes that Muslim countries would be prepared to take in hundreds of thousands, if not millions, of angry, confused, impoverished, sickly refugees. They would be acquiescing in the cessation of the flow of remittances the refugees would otherwise have sent home, and the loss of a considerable amount of political influence in Europe. It is therefore entirely possible that they would simply refuse to allow such deportations to take place, by closing their airspace and cutting all diplomatic relations with the countries in question. The attitude of the Arab world to the plight of the Palestinians, allowed to rot away in their filthy refugee camps as long as they are of some political utility there, is extremely instructive in this regard. Which brings us to option three. The final option consists of genocide, i.e. the intentional, physical destruction of Islam in Europe. Note that this would not necessarily consist of the killing of all Muslims. As Muhammad himself would be quick to remind us, one can simply kill off the men and claim everyone else as booty. Given the low regard in which slavery is justifiably held in 21st century Europe, it is difficult to see how the booty option could usefully be applied. However, bearing in mind that the threat of Islam lies essentially in its menfolk, in principle, Muslim women could probably just be absorbed into the nation as a whole, Islam itself withering away as a result of a zero-tolerance policy. Though a discussion of this nature might strike some as being somewhat off-colour, it is important to bear in mind that genocide is not being advocated here. Rather, it is being observed that genocide has been an ever-present factor during history, not least the history of the 20th century. Irrespective of the existence of this document or the exact nature of its content, the cloud of lurking genocide will grow ever-darker over Europe as Islamization proceeds. It would be intellectually and morally negligent not to point this out. In the Danish scenario outlined in the first section of the document, it can be seen that the Danes quickly progress from option one to something that would constitute a preparation for options two or three, or, more likely, some combination of both. It is highly improbable that any solution to the dilemma posed to Europe by Islam will come about as a result of strict adherence to a single one of the three options. Far more likely is a scenario in which they are messily superimposed on each other as events disintegrate, moving out of the realm of control or prediction. As reported recently, Swedish trade unions (i.e. the Swedish Socialist establishment) have been applying a bit of heavy arm-twisting to members of Sverigedemokraterna by moving to deny them union membership. Sverigedemokraterna (the Sweden Democrats) are widely demonized in Sweden as racist xenophobes for their staunch opposition to continued mass immigration. Nothing exemplifies the politically correct Multicultural establishment in Sweden more fully than the Social Democrats. They are, in effect, the ruling class of Sweden, and have been the party in power for the majority of the last half century. People who have been smuggled into Sweden should be deported, a leading Social Democrat politician has said. Allowing those who have paid thousands to people smugglers to stay is not fair on people who can’t afford to pay to leave their homelands. Göran Johansson, leader of Gothenburg Council, said he based his views on the fact that many of the 20,000 Iraqis expected to come to Sweden this year came here illegally, often with the help of people smugglers. “If it is obvious that someone has been smuggled in they should be sent back again,” Johansson told newspaper GT. People pay around 100,000 kronor ($16,000) each to be brought to Sweden. “We should never accept this. By not saying anything we are tacitly accepting people smuggling,” Johansson said. Johansson admitted that his idea, if put into practice, would lead to more people being returned directly to their homelands. “Then they can come back by the normal route,” he said. He added that it was immoral for money to decide who would make it to Sweden. “There may be those who can’t scrape together 100,000 kronor whose need to come here is perhaps greater. But they don’t get a chance,” he said. When this story was first brought to my attention, I said, “Are you sure this guy is Swedish? Our Dutch correspondent H. Numan sees something more than coincidence in the timing of the latest riots in France. In 2005 we saw massive riots occur right after the Christmas season started in France. Two Muslim juvenile criminals tried to escape from the police after a robbery. They fled into an electricity building and got electrocuted. Not nice, agreed. But something one might expect when taking refuge in a building like that. Nor can you blame the police for it. However, Muslim society certainly did. They reacted immediately with massive violence. So much so that the authorities were not able to cope with it. And not a single word condemning the two robbers. That might be a coincidence. True. But what do we see this year? We see massive violence occur right after the Christmas season started in France. Two Muslim juvenile criminals tried to escape from the police on a stolen motorcycle, and died in a traffic accident. Not nice, agreed. But something one might expect when driving recklessly without a helmet. One cannot blame the police for it. However, Muslim society certainly did. They reacted immediately with massive violence. So much so, that the authorities are not able to cope with it. And not a single word condemning the two thieves. Once is a coincidence. When exactly the scenario happens twice it is not. If you think so, I have a bridge to sell you. What we see here now is a perfectly orchestrated attack on the West’s most important festival: Christmas. Why Christmas? Why not Easter? After all Easter has a far more significant meaning for Christians. Agreed, but while Easter is religiously more significant, Christmas has a much bigger impact on society as a whole . The celebrations around Easter are far less substantial than around Christmas, for example. Look back in history: every tribe, every nation and every civilization in Europe celebrated something around the end of the year. From prehistoric times until today. Our ancestors considered the shortest day of the year to be of massive importance to their spiritual life. Celts, Germanic tribes, Romans, Franks, Vikings, Saxons — just about anybody you can think of celebrated it. The period usually starts at the end of November and lasts until the first week of the new year. The rise of Christianity didn’t change that. It merely continued under a different name, with a different ritual. The Roman Saturnalia, for example, changed into our Christmas, and New Year’s Day became Saint Sylvester’s day. The first week of the New Year was closed now by the arrival of the wise men from the East, or Epiphany. In the 19th and 20th centuries the Christmas season became more secular and far less religious. But the festival remained essentially the same. For Muslims the situation is very different. They never celebrated Christmas, and in the desert ‘the dark days before’ simply don’t exist. Add to this the singular view monotheists hold, Muslims in particular: any festival not theirs is per definition a heathen/infidel/pagan ritual. 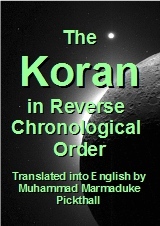 For Muslims anything not ordered in the Koran or hadith is a blasphemy at the very least. Over time, I have read many news items in which Muslim imams speak against such festivals. Christmas is, according to them, a pagan festival. Correctly so, if you choose to go back to its very roots and ignore everything else. The same is true for Easter or any other Christian or Western festival you can think of. Many of our festivals have ancient roots, going back millennia in time. According to these Muslim teachers, who are — and never forget it — the spokespersons of all Muslims, Christmas still is a pagan festival where idols are worshiped: father Christmas, the Christmas tree, and of course the Nativity Scene. Do we really worship any of these symbols? According to Muslims, we certainly do. We also seem to worship animals. A bunny, to be exact. We do that during Easter. So, according to the new colonists of Europe, we are about the same as the (pagan) red Indians encountered by the Pilgrim Fathers, and need to be dealt with the same way. As there are far too many Injuns, and their bows and arrows are a good deal more dangerous, a different strategy must be applied. This is something the West cannot understand. There seems to be a collective mindblock for it: Everything is observed from a religious point of view, and a very strict point at that, in the Muslim world. Not just in Saudi Arabia or Iran, but every Muslim nation on earth. Far worse: the adherents to the faith accept it without question. This goes much further than the strictest form of Marxism. (Where do you think Marx found this idea?) “Anything that promotes the cause of Marxism is good, anything that hinders it, is bad.” This principle has been questioned many times in Marxism, but rarely in Mohammedanism. If the question arose, the issue was always settled in favor of the hardliners. The questioners usually were dispatched to Allah to discuss this in person with him. Liberalism and democracy are blasphemous words to a devout Muslim, even more offensive to Muslims than they were to hard-line party hacks during the height of the Cold War. One uses liberals and democrats to achieve one’s goals. Then, just as now. Then it was a worldwide worker’s paradise, now a world containing only Muslims. It is extremely important to remember this. I think this is the key why the West at the moment is puzzled about how to respond to Mohammedanism. It showed the same puzzled reaction to Communism in the bad old days of the cold war. We should have dialog. We should understand their point of view. We should compromise, and everything would be okay. Those who questioned this were seen as warmongers, hardliners or worse. Today the West faces a much tougher opponent than ever before. It is therefore vitally important to realize Muslims observe everything according to the Koran, and reject most that is not strictly permitted in it. Faith rules the lives of all Muslims, and there is very little else. Anything democratic, if you happen to find it in a Muslim society, is purely coincidental. Now I think the situation becomes a bit more clear. Christmas is the key festival of the West. Muslims are known for head-on attacks. They have always preferred that throughout history. One might opt for more subtle actions, but why on earth bother? The war against Christmas has been going on for more than two years and very few people seem to realize it. Why use a surgeon’s knife if you can stun them with a sledgehammer? Subtlety will be applied when they meet resistance, and they haven’t so far. Of course this sledgehammer approach is only temporary. The French, and Europe, will come to understand soon enough Muslims don’t like Christmas. Once the French understand that, they will be sensible enough to self-censor the Christmas season down to… nothing. Once the Christmas season is censored away, any other festival is a walkover. There is a very good reason why Al Qaeda doesn’t do bombings in Europe anymore: they don’t need to. A strategic Al Qaeda document leaked out clearly stated that bombing Europe was no longer necessary, nor desired, after the attacks on London and Madrid. Both governments immediately surrendered. Any more brutal bombings would be counterproductive for the Jihad. You can say a lot of nasty things about Muslims or Al Qaeda, but being lousy strategists isn’t one of them. Rest assured that next year’s Christmas might very well be a very quiet affair, strictly within the family. “So as not to offend our Muslims”. If that happens, we have lost the war. A war that most of us don’t even realize is going on right now. For a change of pace, here’s a poem from the late great Walt Kelly, the creator of Pogo. I’ve included one of the accompanying illustrations. Unlike some of the later political satires presented in his comic strip, this little parable wasn’t directed at any particular political figure. It is simply a meditation on the inherent isolation faced by powerful people. It’s also a reminder that an over-preoccupation with one’s own security is a self-defeating strategy. Of long and fulsome age. Was a cur who’d seek his end!